People come to the Arctic in the hope of seeing new and wonderful things; To bring in his pocket money to tell that really worth it. The lucky ones attend a northern aurora, spot a formation of whales or discover the polar bear at the time of breakfast with a seal; But what is really unusual is to see is two Basques carrying on a dingui – a standard Zodiac – and with a poke in their hands fighting against an iceberg. This happened: on July 17, a block of ice hit the mouth of Upernavic, threatening the integrity of the French sailing vessel Brizhilli, whose Breton, Sardinian and Basque-French crew had just given up on the north-west passage; After an unsuccessful escape maneuver that left the bow of the ship dented, Captain Dominique was not very clear about his options. 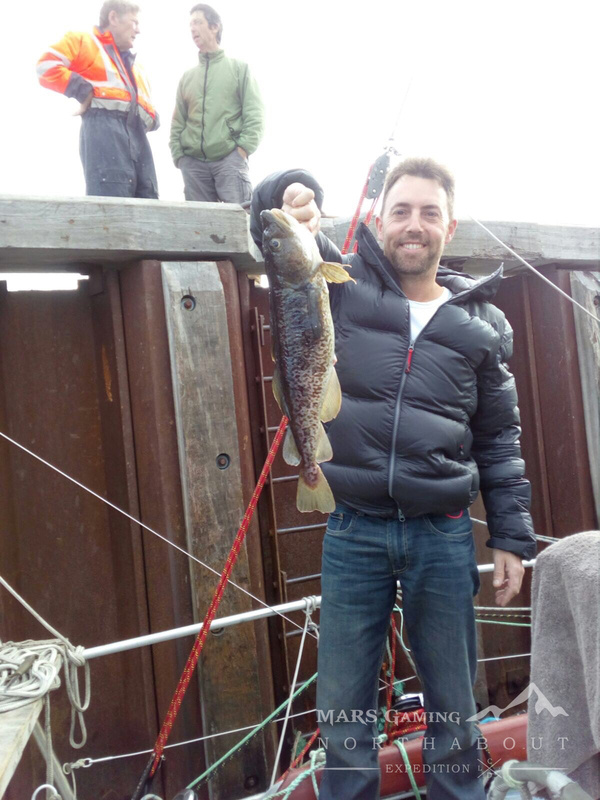 Furious as a buffalo-he had warned when the Frenchman had time for what was to happen, -Aitor Basarrate jumped into the inflatable boat and started the engine with a push. And I followed him without thinking too much, intoxicated with pure impetus, and carried me a long pole of fiber on deck. Like Saint George against the dragon, we charge; And the shock was tremendous. A huge “Chac” sounded. And, barely moving, the icy mass seemed at least to moderate its advance. And then we pushed it with all the force of that rickety engine and all our energy. In the harbor the Inuit who attended the scene could not believe what their eyes saw. Neither were the members of the European crews of the three sailing ships that gathered at the dock. Mike Stewart, our captain, was dying with laughter. Our quixotic action was not useless at all. We held the ice – which was struggling with the current – until Mike forged his plan. Then he mounted the Zodiac and attached a rope to the side of the French vessel. Pulling our boat through the Brizhilli was able to dodge the iceberg and escape to its destination; Then we put the Northabout aft against the ice, and the engines were in charge of deflecting the threat until it was lost in another zone of the pier. It was so epic that nothing was said in the small Greenlandic port until Javier Zardoya, our camera, a dryland with many trips to his credit, caught a beautiful cod using a pear as bait. And then came the most prosaic but that can ruin a trip: flights suspended and postponed; And authentic tasks until finally – after visiting briefly Qanguerlusuaq and Ilulisat – we were able to get together in Upernavic where the Northabout, our ice steed awaited us. Nikolai Litau, the Muscovite ice master, he told us, could not arrive until the 21st. Before the blows of fate, the secret lies in turning inconveniences into opportunities. For four days, those who did not know him became familiar with the ship, its entrails and the routines necessary in the day to day. We also review the emergency plans and set up the ground equipment and attack plans. The atmosphere is one of excitement and adventure. There is an impatience to go north. “Winter is coming”, as members of the Stark household say in “Game of Thrones” series,. Grise Fiord is a grain of human sand on an immense island the size of England. Only 140 people inhabit this village which is the only settlement of Ellesmere, the northernmost insular of the Canadian Arctic. The rest is unleashed nature and implacable severity. On August 8 we marched up the glacier carrying the equipment on pulkas or sleds. We wanted to climb the highest peak in the area. We were in the mountains that surround the Manson polar cap, the so-called North York Land. It is a remote white territory on the map. There was a movie – an adaptation of a Jules Verne story – that marked my childhood. The movie was about explorers flying over unexplored Greenland in an airship. They discovered, among other wonders, a surviving Viking community, plus a bay lost in time and mist where the whales were going to breathe their last breath. Everyone has a plan until it gets spoiled. I had a plan. I had been watching the ice charts, the satellite images of the Sentinel – sent and analyzed by the expert Íñigo Orue – and the charts and had observed the following: the Strait of Nares is like a bowling alley. On day 1 a speed boat was presented in front of the Northabout. It was a visit. 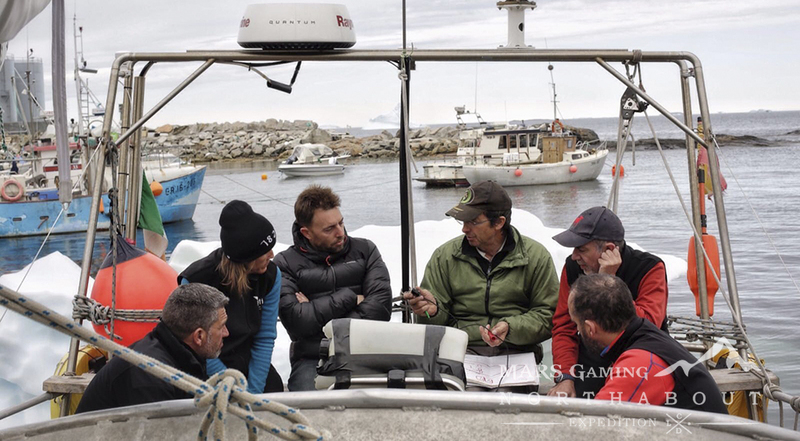 The hunter Pullaq Ulloriaq and his daughter Bebiane honored us with their presence on board.”The Inuit are tight and distrustful of foreigners. It’s hard to get in touch,” some experts had warned. The ice chart, an indispensable tool for anyone traveling on icy seas, gave rise to some hope: even Cape Alexander, the westernmost point of Greenland, only a third of the surface of the water was covered with ice. Enough for us. 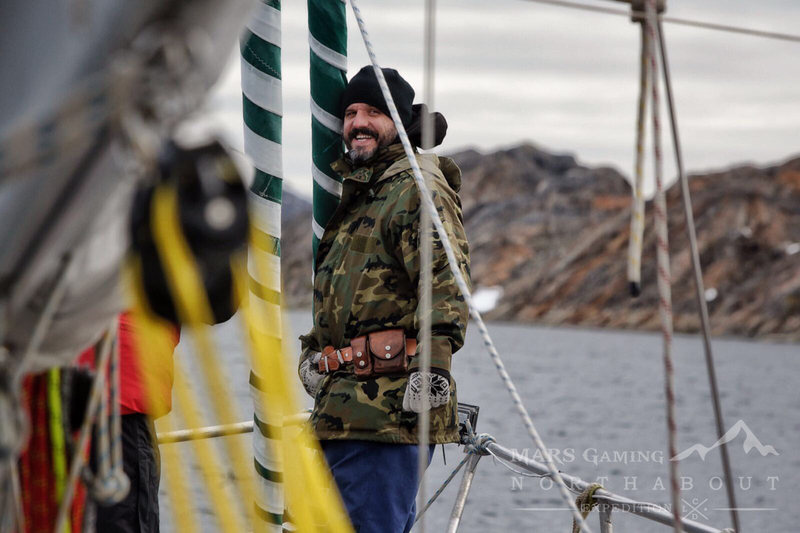 So we marched through a white maze dodging icebergs thanks to the skill as helmsman of Aitor Basarrate. They say that any polar adventure involves some kind of suffering. On July 27 we started our first major battle against ice. And we lost it. I will never forget the crash of the ice against the helmet. Runs from the beds to deck. And the long hours of hopeful and nervous glances trying to peer out into the ice maze. There are few experiences in life more disturbing than seeing an iceberg appear in the fog. 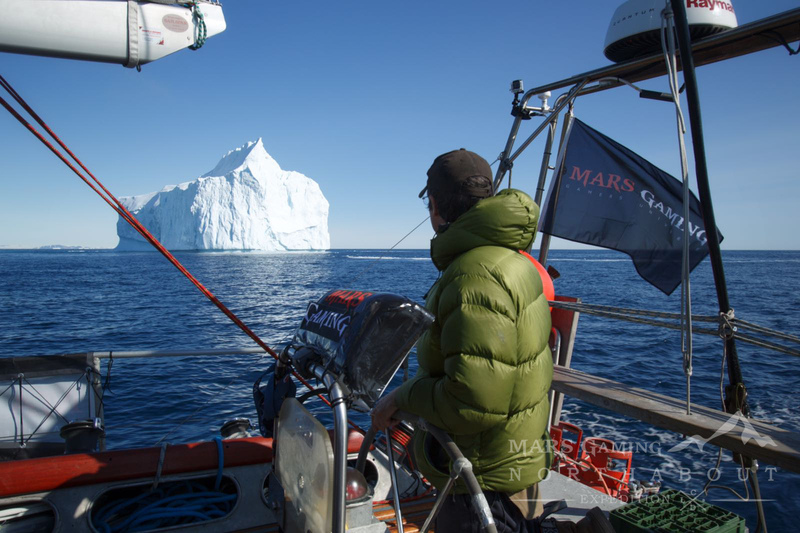 We saw it on the third day of navigation from Upernavik to the north by the bay of Melville; Of course, it was not the first floating block of ice we came across; But this was veiled in mystery by an oleaginous haze, typical in this area of ​​the Baffin Sea. An Inuit wedding is a strange mix between tradition and modernity. They emphasize the traditional costumes: The grooms dress old fashioned, he with white anorak and she with a colorful coat; And both in sealskin pants and boots. We were fortunate to be invited to his wedding by Nunarleq Mathaussen, a pure Inuit who married Ane, a local girl with Nordic features. If the Mars Gaming Northabout Expedition succeeds, it will be the first time a Spanish team has reached the Geomagnetic Pole. But the most interesting is the territory where the bet will be developed. Authentic “door of the white hell” the Strait of Nares (which the expedition intends to cross) was the passage chosen by numerous expeditions throughout history to reach by sea the North Pole, because it was mistakenly thought that behind the ice barrier, a warm sea existed. Adventures begin in the most unlikely places. The Mars Gaming Northabout Expedition came to being one haunted night, in the middle of the countryside, somewhere between the English cities of Bath and Bristol.